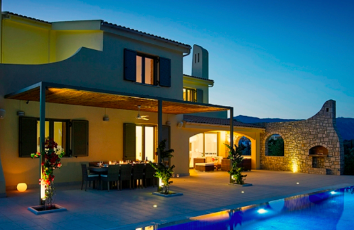 Luxury Hand-picked Villas in Corfu. We’ve selected our luxury villas to suit your travel style. Exclusive concierge services, covering your every wish. Luxury Villa in Corfu. Fabia Villa is is nestled in an enclosed 5000 s.q.m. green haven on a small hill in the heart of Gouvia Village, only 8 km north of Corfu town. Luxury Villa in Corfu. Stefan Villa, nearby the village of Agios Stefanos, beachfront residence seems peacefully tucked away on a virgin piece of land reminiscent of Greek myths. Short on time? Just tell us what you are looking for, we’ll do the rest. Personal Concierge Service in Corfu. Lifestyle Mangement Services, Villa Manager, Party and Event Planning in Corfu. Exclusive Concierge Services in Corfu fulfilling your every wish. Your Personal Concierge will be 24/7 at your disposal. Whether you're looking for a private chef, luxury catering or a formal diner our chefs brings the restaurant experience to your villa or yacht, making your event more exclusive and private. Luxurious Wellbeing, Personal Trainers, Aerial Yoga, offering unique sessions. Every spa and wellness escape is perfectly-suited to satisfy all your vacation relaxation desires. Corfu Private Driver, Chauffeur and Limousine services. 24/7 Luxury Transportation Services in Corfu. Motor Boat, Sailing yachts and Yacht Charter, Car Rental Service. Have a luxury ride from a chauffeur driven car in and around Corfu. Chauffeur driven car hire services for airport transfers, events, excursions and private tours. Leisure or Sport And Adventure Activities. In Corfu, every area sets a different scene, Paxos and Antipaxos Cruise, jet skiing, eco tourism, horse riding, rafting, diving, tennis, sailing, wind-surfing etc. Sailing in Corfu and the Ionian islands is a unique experience. Yacht charter, feel the magic of private yachting and live a unique luxury experience in one of the best holiday destinations in the world.